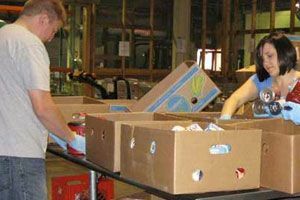 We have listed all of the Yellow Springs food pantries that we have found. With help from users like you we have compiled a list of some. If you know of a food pantry that is not included here, please submit new food pantries to our database by going to the ADD A LISTING link on the header of our website. This food pantry is located at the Yellow Springs United Methodist Church. The Food Pantrythe 2nd and 4th Thursdays of each monthThe Food Pantry is serving an average of 18 families each time. The Food Pantry is sponsored by all the churches and many organizations in the community. Emergency calls are accepted by calling the church. Due to the low number of listings in Yellow Springs, we have added area listings below.